Since January 1986 Mark Laubach has served as Organist and Choirmaster of St. Stephen’s Episcopal Church in Wilkes-Barre, where he administers an active liturgical and choral music program, concert series, and Music from St. Stephen’s, a radio broadcast heard weekly on WVIA 89.9 FM Public Radio. In 2008 Bishop Paul Marshall made Mark Honorary Canon Precentor of the Diocese in recognition of his accomplishments and contributions to the musical and liturgical life of the Diocese of Bethlehem. 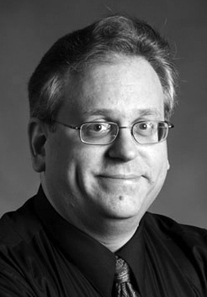 Mark received a Bachelor’s Degree in Church Music from Westminster Choir College, a Master’s Degree in Organ Performance and Literature from the Eastman School of Music of the University of Rochester, and served for one year as Fellow in Church Music at Washington National Cathedral. His organ teachers have included Clinton Miller, George Markey, Donald McDonald, and David Craighead. Since winning first prize in the 1984 American Guild of Organists (AGO) National Competition, Mark has performed in many of the most prominent churches and concert halls in the USA, and in Great Britain and Germany. Notable UK recitals have included appearances at Westminster Abbey and St. Paul’s Cathedral in London, King’s College Chapel in Cambridge, and cathedrals in Bristol, Chichester, Gloucester, Lincoln, Norwich, and Wells. He is a frequent recitalist, clinician, and competition adjudicator for national and regional conventions of the AGO (American Guild of Organists) and the AAM (Association of Anglican Musicians). In 2008 Diocese of Bethlehem Bishop Paul Marshall named Mark Canon Precentor “to take the lead in efforts to coordinate, communicate, and further educate all the musicians of the [14-county] Diocese.” the title Canon is not frequently conferred on lay persons and is usually given in recognition of position, significant service or achievement. Precentor is an early Christian church title for one who had oversight for the musical part of liturgical services. The term is from the Latin, “to sing before,” and has been used also to designate the cantor or singer who introduces a chant. In the summer of 2012, Mark performed a featured recital at the National AAM Conference in Philadelphia, and served as organist for the Choir of the Church of the Holy Spirit in Harleysville PA when they are in residence at Bristol Cathedral in England. He has recorded three critically acclaimed compact discs on the Pro Organo label … Teutonic Titanics, French Fest, and Mosaics in Sound. A fourth CD recording is planned for later 2013. In recent years, Mark has collaborated with pianist Rick Hoffenberg in several organ and piano duo recitals. He teaches organ students privately and at Marywood University in Scranton, where he is also accompanist for the University’s Campus Choir and Chamber Singers.